Gerrit Van Hal was born April 16, 1932, to Jacob and Dena (Spoelstra) Van Hal, on the family farm near Sully, Iowa, where he grew up. He received his education at Sully Christian Grade School where he graduated from the 8th grade in 1946. After this he helped on the farm and worked as a hired hand for some local farmers. In January 1950, he began working at the Sully Co-op which he did until November of 1952, when he was drafted into the Army during the Korean War. He was deployed to Korea in July of 1953, attained the rank of sergeant and was honorably discharged in 1954. After he was released from service he resumed his work at the Co-op. On November 25, 1954, Gerrit was united in marriage to Shirley Van Der Kamp at her parents’ home near Sully. They became parents of four children: Sharon, Gregory, Erwin and Anita. Gerrit was baptized and made profession of faith in the Sully Christian Reformed Church and was a member there until moving to a farm northwest of Pella in March of 1957. They farmed there until December of 1965, when they moved to a farm southwest of Leighton. They continued to farm there until February of 1997, when they retired from farming and moved to Pella. He went on to work for six years at Vermeer Manufacturing retiring in May 2003. After this he did some day work and volunteering. Gerrit served several terms as deacon and elder in the Pella and Leighton Christian Reformed Churches. He enjoyed grandchildren’s activities, reading, listening to gospel music, gardening, and spending time with family and friends. At the present time, he was a faithful member of the Second Christian Reformed Church and a member of the American Legion. Gerrit was preceded in death by his parents, Jacob and Dena; great granddaughter Grace Nunnikhoven, sisters Jennie and Helene Van Hal; brothers Raymond Van Hal and Jerry Van Hal; brothers-in-law Donald Bennink and James Vanden Oever; parents-in-law, Ernest and Anna Van Der Kamp, sister-in-law Vivian Van Der Kamp, and brother-in-law Marvin Schmelzle. 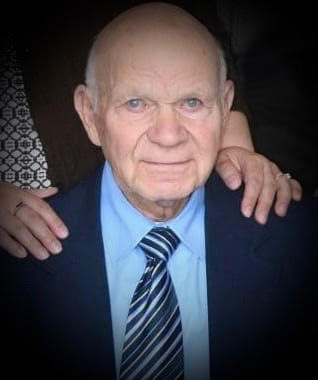 In addition to his wife Shirley of 63 years, their children and their families, he is also survived by his siblings: Geurt (Carolyn) Van Hal of Homer Glen, Illinois, Sophia Bennink of Des Moines, Iowa, Evelyn Vanden Oever of Chariton, Iowa, Cornie (Marinella) Van Hal of Pella, Iowa, Darlene (Glenn) Summers of West Des Moines, Iowa, , and Nancy (Carl) Jensen of Golden, Colorado; sisters-in-law Ruth Van Hal of Pella, Iowa and Darlene Van Hal of Pella, Iowa; and many nieces and nephews.